Pasta always ranks high among the world’s best-loved foods and as any seasoned chef will advise, perfect pasta should be cooked al dente. In literal terms, al dente means “to the tooth”. Figuratively speaking, the expression refers to pasta cooked to the point where its texture may be described as firm and slightly chewy but not crunchy. This may all sound very simple and self-evident to dedicated foodies and disciples of fine Italian dining who simply know the pasta is done “when it’s done”, but there are those among us who need a little more help. Here are a few tips for serving perfect al dente pasta for “the rest of us”. 1. Pasta should be boiled in a large pot containing 4-6 quarts of water for each pound of pasta. Add a generous sprinkling of salt when the water boils and a just a capful of olive oil to prevent the pasta from sticking. Note that pasta should NEVER be added until the water reaches the boiling point. At a full boil, add the pasta and stir frequently in the beginning. Reduce the heat to medium/high and allow the water to return to a boil. 2. Cooking time is critical to achieving al dente perfection. Refer to the instructions on the box when preparing packaged pasta and use the lowest cooking time in the prescribed range. If the instructions indicate 8-12 minutes, plan on draining the pot at 8 minutes sharp and definitely no longer than 9 minutes. 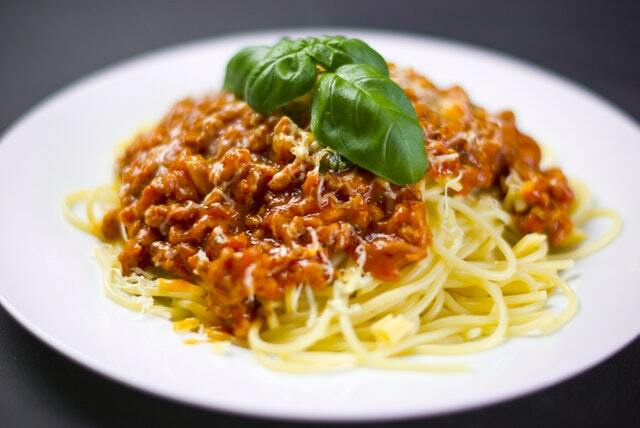 Thin spaghetti and angel hair pasta will generally be done in 6 – 7 minutes while thicker walled noodles such as ziti and penne will probably need 10 – 12 minutes. Freshly made pasta will cook much faster. Don’t even bother leaving the stove as the noodles will be done within 3 – 5 minutes. 3. Perform a taste test 30-45 seconds before the end of your estimated cooking time. Slice a piece of pasta in half. If you can still see a thin white line in the core of the noodle, continue boiling. The pasta is not done yet. 4. You will definitely need to shave a minute or two from the cooking time for pasta which will be baked. The noodles in a lasagna or ziti dish, for example, will continue to soften in the oven so plan accordingly. 5. Once it is done cooking, the pasta must be drained immediately since it will continue cooking in the hot water even if removed from the stovetop. If you will not be serving the cooked pasta immediately, add another drop of oil to prevent clumping. If you are still not sure that you have indeed prepared the perfect al dente pasta dish of your culinary dreams, feel free to employ the old trick of tossing noodles against the wall to see if they stick. It works every time! Previous Post Previous post: No Meat? No Worries!